What Is SQL Server 2008? 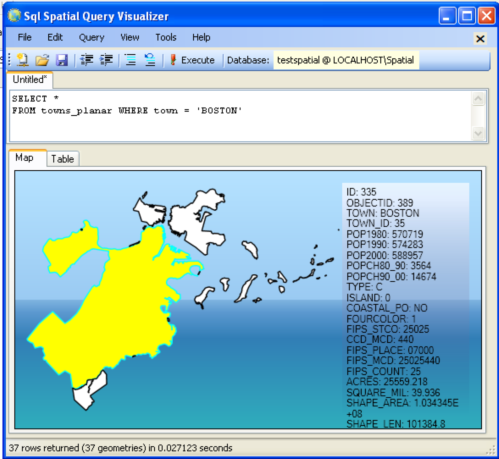 Microsoft SQL Server 2008 is the first version of SQL Server to have built-in functionality for doing geographic spatial queries. 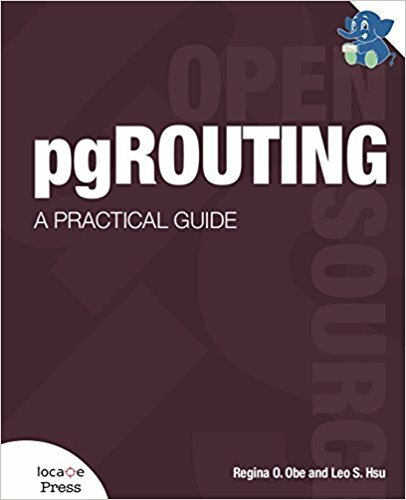 This tutorial is similar to our Part 1: Getting Started with PostGIS: An almost Idiot's Guide but written to provide a similar quick primer for SQL Server 2008 users and also just as a parallel exercise in mirroring the camps. Think of it as a big welcome to the new kid on the block who is an old family friend. We will assume a windows environment for this tutorial since SQL Server only runs on Windows and preferably Windows XP and above (not sure if it works on Windows 2000). All our examples will be using Microsoft SQL Server 2008 Express which is a free version of SQL Server 2008. SQL Server 2008 Express is allowed for both non-hoster commercial and private use. Please note that the spatial functionality in the SQL Server 2008 Express family is just as good as in the Standard and Enterprise versions with the limitation on database size, mirroring, partitioning and some other minor things which are not spatial specific. SQL Server 2008 Standard, Web and Enterprise work on only servers while SQL Server Express 2008 works on both Servers and Workstations. For the below exercise, we will assume you have downloaded at a minimum SQL Server 2008 express with Tools, or that you already have 2008 Express Studio already installed. If you have prior VS 2008 Pre SP1 you'll need to uninstall them or upgrade them to SP1 which you can get from http://www.microsoft.com/downloads/details.aspx?FamilyId=FBEE1648-7106-44A7-9649-6D9F6D58056E&displaylang=en if you are running professional or above. If you are running express family item, you need to reinstall the VS 2008 Express family item with SP1 http://www.microsoft.com/Express/Download/ and backup your IDE settings if you care about them. Download and install .NET Framework 3.5 with SP1 if you don't have it installed from http://www.microsoft.com/downloads/details.aspx?FamilyId=AB99342F-5D1A-413D-8319-81DA479AB0D7&displaylang=en. and then restart your computer. Run the executable for SQL Server Express. Click on Installation link and Choose first option - New SQL Server Stand-alone installation and once its done with checks click OK. You may be forced to restart after the support file install step. Under install options - choose everything. Replication is optional. 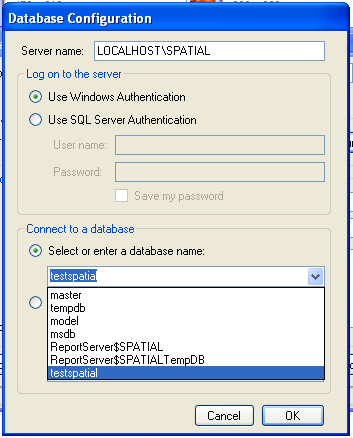 for SQL Server Instance - choose named instance and call it - Spatial or whatever you want. Note you can use default instance if you have no other SQL Server installs on your pc. For service account - you can just run under NT AUTHORITY\SYSTEM, though for production installs, that need to interact with network, you may want to create a domain account with run as service rights and use that account. For account provisioning - we often use mixed mode which is useful if you will have non-domain access such as from a stand-alone web server. In section specify SQL Server adminstrators, click add Current User. At this point you may get an error if you have installed prior Visual Studio 2008 things. You will need to uninstall those or upgrade them to SP1. If you get to this this point it should be smooth sailing. click click click install - go get a large cup of coffee. Next - hopefully you'll get a message that says SQL Server 2008 completed successfully. You should see something like computernamehere\SPATIAL and now login with sa (Standard mode) or just the windows account assuming you gave current user admin rights. 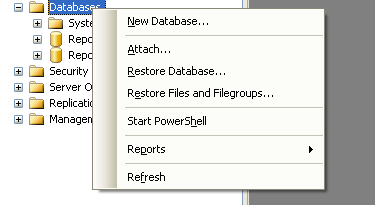 Give database a name and click the OK button. First off we have to install a loader. 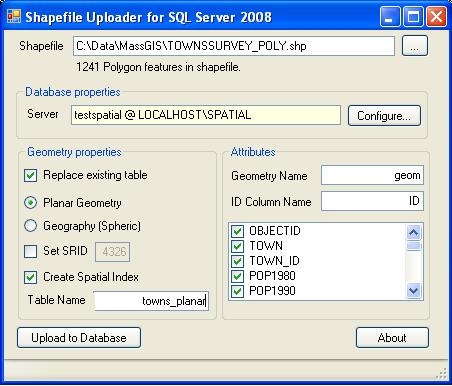 You can use the freely available http://www.sharpgis.net/page/SQL-Server-2008-Spatial-Tools.aspx Which comes with both an ESRI shape loader and SQL Server spatial viewer. To use simply download and extract. WARNING: One of our friends noted that the SharpGIS Loader comes up with a very suboptimal spatial grid index that will throw of queries relying on a spatial index. This is particularly an issue for data loaded into the geometry planar data type. As a result, SQL Server queries may be unusually slow and you may get a bad impression of SQL Server's performance. This wil be fixed in a later version of the loader. Extract the file into some folder. We will only be using the _POLY files for these exercises. First of all, what is Planar - Planar is a class of spatial reference systems that projects a round earth onto a flat model. 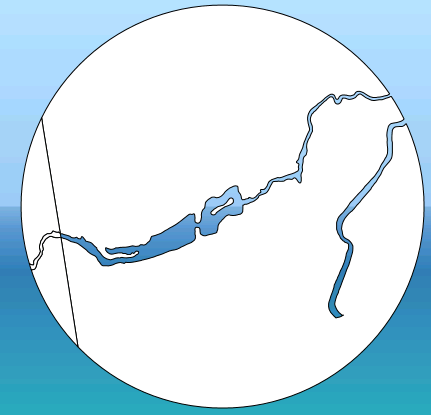 SQL Server 2008 supports both a Geometry (Planar) and a Geography (round-earth model). For data brought in as Planar, SQL Server 2008 does not do any validation to ensure it is in the sys.spatial_reference_systems table, and in fact SQL Server 2008 only contains spherical spatial reference systems in that meta table. So if you want to bring in as planar, as long as all your data is in the same planar projection, you should be fine. SQL Server 2008 has no mechanism of transforming data from one planar projection to another. 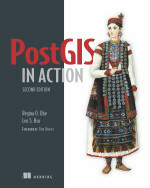 Those who are familiar with the PostGIS equivalent exercise of this know that MassGIS data is in Massachusetts state plane Meters (Spatial_Reference_ID = 26986 which is a planar projection) so bringing it in as Geometry works fine, but trying to push it into Geodetic we shall find is a little trickier. Launch the SQLSpatial.exe which is also packaged in the SharpGIS tools. Now lets pick the first geometry in Boston, find the centroid, buffer the centroid 1000 meters and find all fragments of towns in the buffer. People familiar with spatial queries will recognize this as clipping geometries to a buffer. File-> New Query and do this: - evidentally there are some Massachusetts towns that SQL Server doesn't like thus the need for the IsValid check. To do so - you simply follow the prior steps but choose Geography (Spheric) instead. But what if we want to bring planar data in such as MassGIS towns as Geodetic. Then you need to first transform the data which SQL Server has no mechanism for and then bring it in. We shall go over this in part 2.